I know lots of people, most of them in my family. and some of them just visit. but that's the way we (mostly) like it. When your annoying little brother shares your room, your older brother is in the tunnel of adolescence, your dad hides in his office eating rocky road ice cream and swaying to Frank Sinatra, and your mother listens to foreign language tapes in a candlelit bathtub, what can you do to get away from it all? 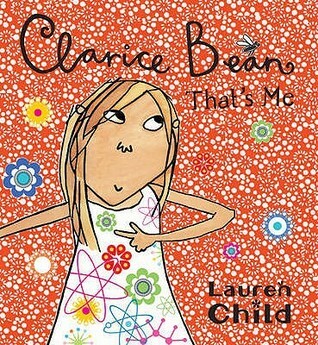 Meet the feisty Clarice Bean and sympathise with her search for just a little peace and quiet amidst a family many of us will recognise only too well. In her brilliant picture book debut, Lauren Child's witty text and jazzy illustrations capture the wonderful wacky chaos of a large extended family from the hilarious vantage point of one of its youngest members.